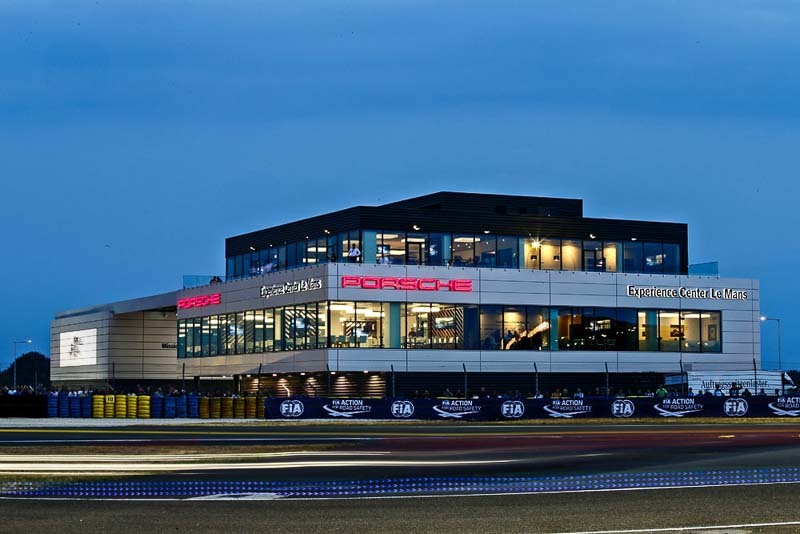 On 12 June 2015 the French marketing and sales company Porsche France celebrated the official opening of the Porsche Experience Center Le Mans. The Experience Center is ideally located on the 2.9 kilometre racetrack “Circuit Maison Blanche” and offers customers and all Porsche enthusiasts an exclusive brand experience. Visitors have an opportunity to experience the outstanding handling characteristics of all Porsche models for themselves on the test circuit and a road track and to learn how to use the full potential of these sports cars. Porsche drivers, future customers and fans of the brand will be able to take advantage of various offers at the Porsche Experience Center Le Mans (PEC): at the “Porsche Sport Driving School” anyone can perfect their driving style with professional instruction on the racetrack behind the wheel of the latest Porsche models. The “Porsche Experience Programme” offers all customers ordering a Porsche an opportunity to take part in a half-day training session at the PEC to enable them to become acquainted with and master the special features and equipment of the brand’s models. Furthermore, customers can take delivery of their new Porsche right on site. As well as a Porsche Service Center where current and earlier models can be serviced and repaired, there is also a Porsche Driver’s Selection boutique and a permanent exhibition of current and historic vehicles. Further information on the PEC and registration for one of the various programmes is available at www.porsche-experience-center.fr.